HP Philippines is encouraging its distributors, resellers and end customers to help combat grey marketing in the country by being vigilant against the unfair trade practice. Grey marketing diverts genuine commodities from their authorized distribution channels without the consent or knowledge of the manufacturer or brand owner, often to take advantage of the product’s high demand and retail price due to scarcity. Across Southeast Asia, grey marketing has involved the sourcing of original electronics products and office equipment, including printers and supplies, from one country, and the subsequent legal importation to another country. Grey marketing can also be used to circulate counterfeit products which often leads to suppliers losing the trust and loyalty of disgruntled customers and the manufacturer or brand owner damaging their reputation from the dubious quality and inferior performance of the fake products. As a precautionary measure, HP Philippines is asking its dealers and resellers to only source HP original supplies from trusted distributors and to only request products that are sold locally so it can be covered by appropriate warranties. HP Philippines is also asking its distributors and resellers not to distribute HP products beyond the country or area that they have been appointed for as this may lead to serious legal consequences. 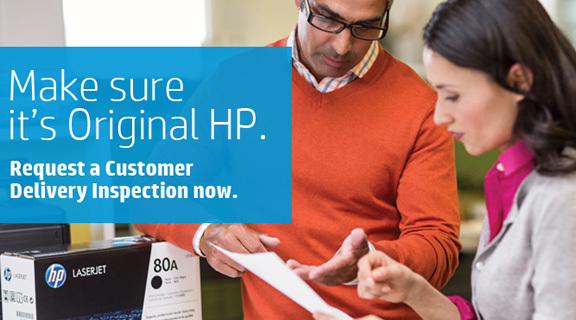 HP channel partners and loyal patrons can report any suspicious trade of grey market printing supplies via email at [email protected].